Minneapolis Spurs has secured a block a rooms at the Courtyard Marriott only a few blocks away from both Nomad World Pub and US Bank Stadium. If you want to be within walking distance for both some supporters events at the pub as well as the match, and also be near a light rail station this is a great spot to stay. If you would like to take advantage of this deal while rooms are still available CLICK HERE. Otherwise, there are THREE areas that we recommend for hotels. If you stay in these areas you should be fairly close to Light Rail Stations that will take you right to US Bank Stadium. Below are links to lists of hotels in those areas provided by Expedia. If you are driving in Minnesota or renting a car it is very important to download the MPLS PARKING APP. It works wonderfully. It will help you to find the nearest parking location and pay for metered street parking directly from your phone. If you are driving there is a major construction project happening around 35W and I-94 all summer long. So we recommend taking the light rail to the match or finding alternate routes into Downtown Minneapolis. CLICK HERE for more info. Due to US Bank Stadium's location, the Metro Transit Light Rail will be the easiest way to get around. Whether your hotel is in Downtown Minneapolis (Blue & Green Lines), Downtown St. Paul (Green Line) or in Bloomington near the Mall of America (Blue Line) you have easy access to rail stops. 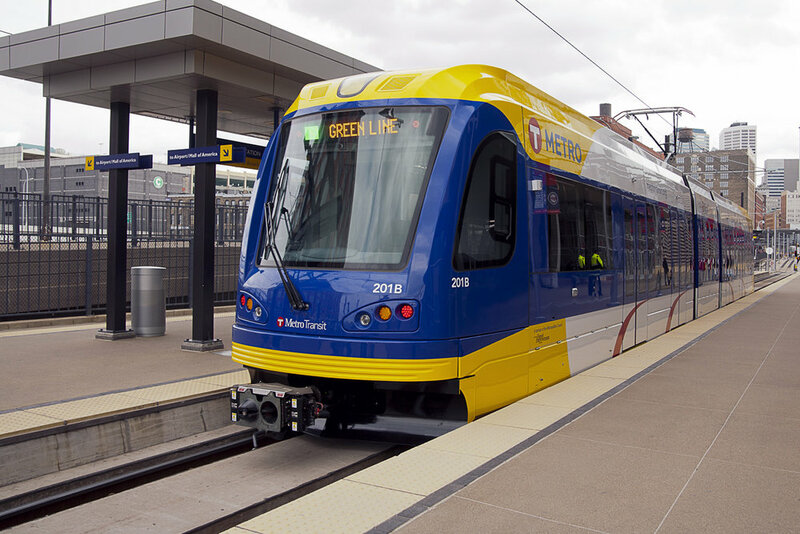 For more information regarding Metro Transit Trains or Buses please visit the Metro Transit Website. IMPORTANT TIP: For events at Nomad World Pub, get off at the Cedar-Riverside Station(Blue Line) or the Washington Ave Station (Greenline). From either station it is just a short walk to the pub. IMPORTANT TIP: When buying a transit pass at the station kiosks, select the 24-hour Pass. It will save you money in the long run as regular passes only last three hours. 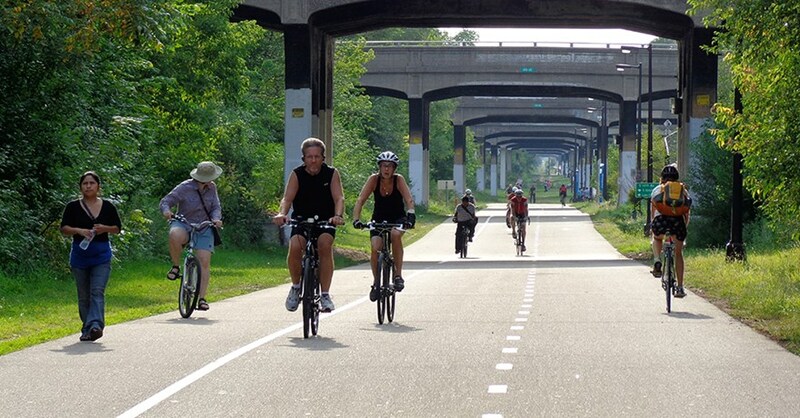 The Twin Cities are known for being one of the most bike friendly cities in the USA. You can rent bikes via the Nice Ride bike share program and easily explore downtown and neighboring areas. There is also The Greenway, a paved bike trail that used to be a railway. This 5.5 mile stretch runs through the midtown area of Minneapolis.